Sadly, today, it has become a flowing garbage dump and repository for toxic industrial waste and for its final 15 km it is channelled under a highway flyover. For Vassilis (Basil) Zotos, architect and town planner, the challenge of the Kifissos river came as a natural continuation in a career marked by urban river regeneration projects. It all began in the mid 1960s with his doctorate thesis on the river Thames in London. This provided a basis for the long term regeneration and today the Thames is a living urban river and a magnet for tourism and high end real estate. The Kifissos project: A team of architects and urban planners , Dimitris Sofos, Natalia Kokotou, James Hall and Klairi Xenofontos (all members of the British Graduates Society – BGS), led by BGS president Vassilis Zotos, have been working on a voluntary basis to create a vision of what the river could become. This team was supported by a number of specialist consultants. The objective is to provide a framework of interventions that are environmentally sustainable, immediately applicable and financially viable; a set of guidelines for the regeneration of the entire river. 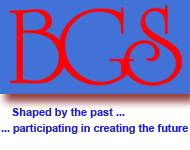 A ‘power point’ summary presentation of the proposals appears on the BGS website. Also the project has been presented in various conferences and public meetings. There has been an overwhelming and encouraging response from the general public as well as from many professionals in the fields of urban and river regeneration from Greece as well as from various parts of the world. Recent project presentations: Include the ECOWEEK 2009 International Conferenc "Papasotiriou Bookstore" and at the "ATHINAIS" and both presentations were extremely well attended by enthusiastic participants. See "PHOTO GALLERY". 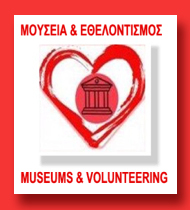 Comments by the Media & the Public: The Kifissos project received a lot of publicity from ‘Kathimerini’, ‘Eleftheros Typos', 'Eleftherotypia', ‘FAQ’, ‘Athens News’ and many other newspapers and magazines. Also Vassilis Zotos was interviewed several times by SKAI (both radio and TV), ‘the Voice of Greece’ (ERA 5 broadcasting worldwide for all the Greek communities abroad), 'NET-105.8 FM', ‘Athens International Radio-104.4 FM' (in English), ‘Kanali Ena - Piraeus Municipal Radio-90.4 FM’, 'City-99.5' and quite a few more. It is worth mentioning that the 20 minutes live interview on the ‘Voice of Greece’ produced a large number of e-mails, telephone calls, etc. from many Greeks living in various and far-away parts of the world. 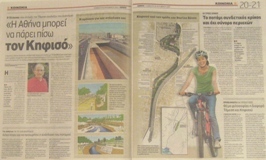 the "NEA" newspaper - "TAXIDROMOS" magazine (1 August 2009). 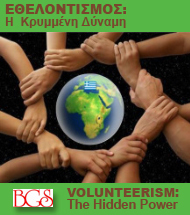 The monthly magazine STATUS (June 2009 issue) devoted a special section to the “45 ECO LEADERS IN GREECE” included an interview with Vassilis Zotos and a write-up on the Kifissos project. Click here to see the "'Kathimerini' article. Click here to see the article in "Eleftheros Typos". A recent write-up (October 2009) in the LIVERPOOL JOHN MOORES UNIVERSITY on "THE GREEK RIVER"
Με τον τίτλο αυτό στο ΕΘΝΟΣ του ΣΑΒΒΑΤΟΥ (15 Οκτωβρίου 2011) η δημοσιογράφος Στέλλα Κεμανετζή "επιστρέφει στον Κηφισό" με μία δισέλιδη (σαλόνι) παρουσίαση της μελέτης του BGS για την ανάπλαση του ποταμού και την δημιουργία ενός μητροπολιτικού πάρκου 25 χλμ, διαδρόμου κλιματισμού για την πόλη, που θα βελτιώσει ...... Διαβάστε το άρθρο, διαδώστε όσο μπορείτε την ιδέα για την "σωτηρία του Κηφισού" ώστε κάποια ημέρα ο Κηφισός να ξαναγίνει το ποτάμι της Αθήνας.